The Wine Syndicate is a progressive wine importer and distributor in Western Canada. Our objective is to offer our clients unparalleled service, and a versatile portfolio of producers who share a common goal of hand-crafting great wines in a manner respectful to the natural environment we all share. The Wine Syndicate is proud to be the distributor for Coravin in Western Canada. 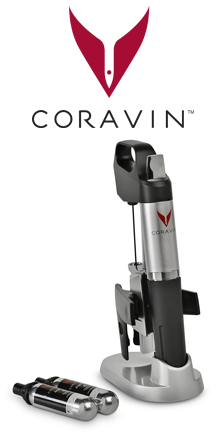 Coravin and its accessories are available to purchase directly through our website. For the first time, restaurants and wine enthusiasts will be able to enjoy wine by the glass without committing to the whole bottle. Coravin’s groundbreaking wine access technology leaves the cork in place, safeguarding the wine from oxidation and still allowing the wine to evolve naturally.